﻿ How to use iPad Video Converter to convert videos for iPad 2/iPad? How to convert videos for iPad playback? I have many videos on my computer and they are in different video formats. I just got an iPad 2 and I want to put all of my videos on iPad. I know iPad supports .mp4 format videos. So how can I convert videos to iPad MP4 format? It will be fantastic to watch favorite videos on iPad on the go. 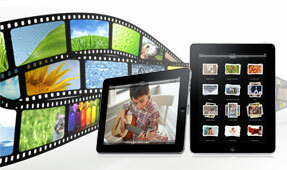 To convert videos to iPad, all you need to do is find some video conversion software. What’s the best Video Converter for iPad? Well, iPad Video Converter is the best and most reliable iPad video program which enables you to convert almost any videos to iPad compatible file format with fast speed and excellent quality. This tutorial explains the step-by-step guide on how to use iPad Video Converter to convert videos for iPad (iPad 2 and iPad 3 supported) playing. Read on. First of all, click the link below to download iPad Video Convert and install it on your computer. For Mac users, please check out powerful iPad Video Converter for Mac. Assume you have installed the program, now you may open it. Click on Open file button to select video files you want to convert to iPad and import them to the application. 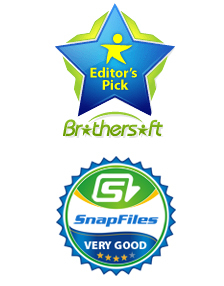 You can add multiple files and convert them at once. You can preview the imported file with a real iPad-looking player. Added file, you need to select the right output format for iPad. 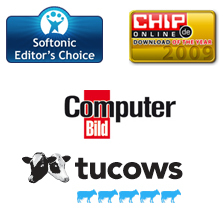 Click on Profile button and from the file format list you can choose the specific format you want. Generally, the default format works fine on iPad. 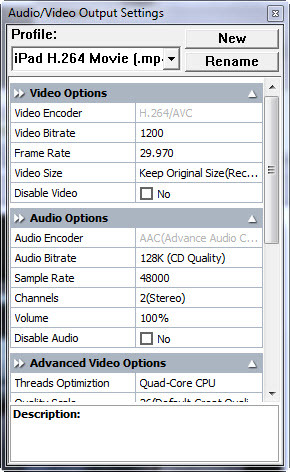 Of course, you can customize Audio/Video Output Settings. One last step. Suppose you have done all necessary settings, now you can click on Convert button and iPad Video Converter will get started the task. That’s it. Soon the conversion should be finished. Now you may find the converted iPad friendly video formats and add them to iTunes and sync with your iPad/iPad 2/iPad 3. Have fun. This iPad Video Converter also supportes converting videos to iPhone, iPhone 4, iPhone 4S, iPhone 5, iPod, iPod Tough 4G, etc. How to convert DVD to for playback on iPad/iPod/iPhone? How to easily rip & convert DVD to iPhone 5 videos?